I must finally have gone over the edge into totally batshit crazy. There could be no other explanation. No other explanation for why the cannibal warlord Hamatsa's procurer of bodies, the svelte seductress Kinqalatlala, was standing before me with her razor sharp hand stabbed through my chest while her tongue pushed into my mouth. No other explanation for why I stood frozen in shock while blood streamed down my legs. My blood. No other explanation for why my girlfriend Jean lay unmoving and unconscious on the pavement, No other explanation for why Blue Tara, a tall naked muscular Amazon witch with glowing crystalline blue skin and one piercing yellow eye let out a screech that threatened to burst my head. Well, wait. There could be one other explanation. It could be that I was dead. It could be that I now resided in the spirit world. Crazy or dead. This day was not going well. 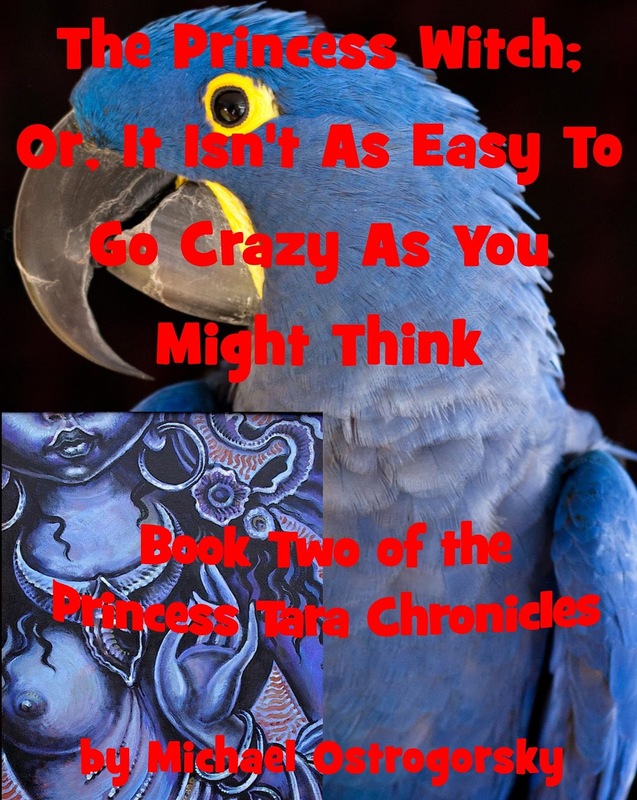 While you're waiting for Book Two, be sure to read Book One of The Princess Tara Chronicles: Blue Tara; Or, How Is a Hyacinth Macaw Parrot Like a Tibetan Goddess?